I'm a longtime bread-lover and baker, and have been checking out the site for about a year now. 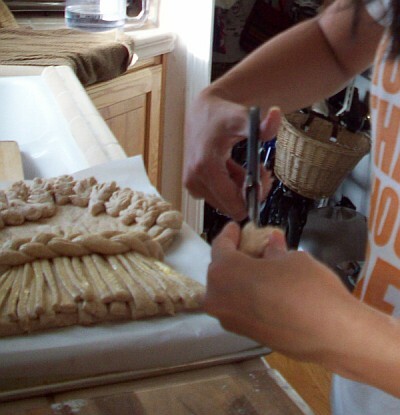 What to post for a first entry on the amazing Fresh Loaf Bakers Blogs? Whenever I'm invited to a potluck, I generally volunteer to bring the bread. This time, it was a friend's birthday. I asked my fiancé, "What kind of bread should I make?" while flipping through "The World Encyclopedia of Bread". 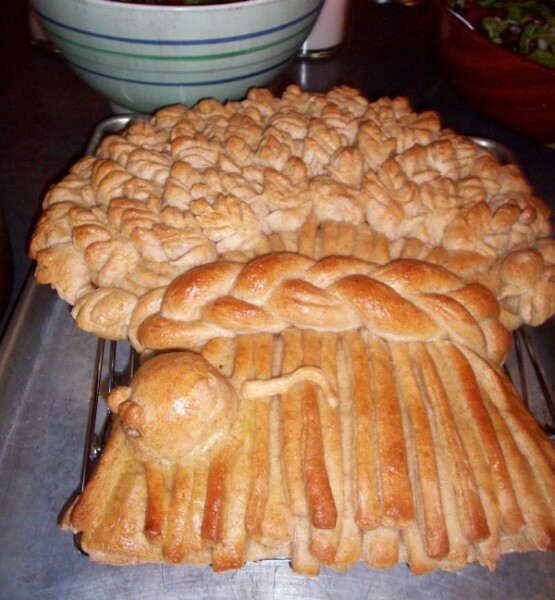 The result was our first Harvest Sheaf Loaf. The recipe called for 100% white flour, but I used about 1/2 whole wheat, and included some pre-fermented French-bread style dough. 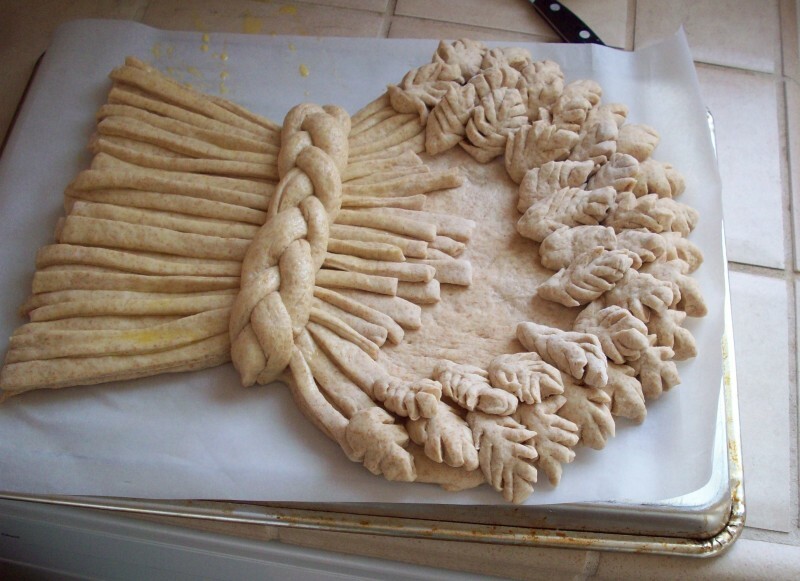 I love how self-referential this bread is: a wheat loaf made to look like a bundle of wheat. As you might expect, the shaping and sculpting is time-consuming. Best not to attempt solo! I'd be curious if anyone else has tried one of these. It was fun to make, but once a year would certainly be enough for me. Wow that is a wonderful piece of work and I love the mouse. I can see why once a year would be enough...but what a great time of year it is! I've heard of mice eating so much that they get fat and puffy to the point of their eyes popping out, now I've seen it. I'm jealous of the bugger though, that is an impressive looking loaf! That's all I can say about that work of art. You certainly know how to make an entrance Matt. Well done. ... (sans the cute mouse) and posted it in my introductory post on TLF as well! I have made it twice so far, but just like you, I also say once a year is enough! Very cool. Yours looks great! 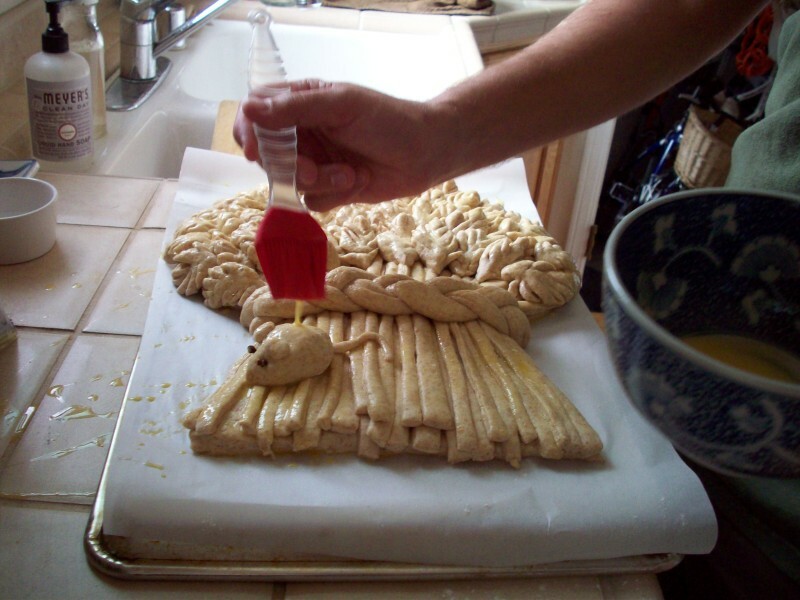 The mouse got so many appreciative comments that I think next time I'll just make a trayful of bread mice! Matt, nice looking bread project. Keep on baking! That's great workerbee! Pics please! Matt H's Recent Blog Entries.